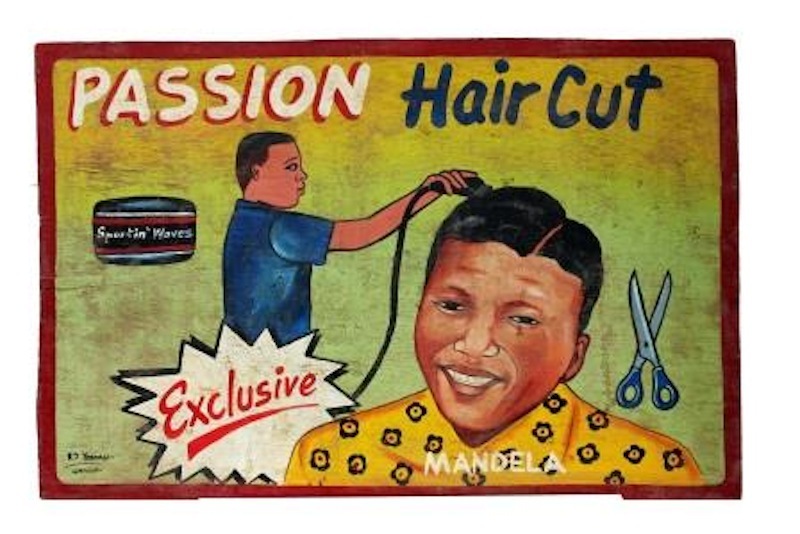 Artist unrecorded, Ghana, Passion Hair Cut Mandela (double sided barber poster), date unknown, paint on wooden panel, 80.5cm x 52cm. Standard Bank African Art Collection (Wits Art Museum). 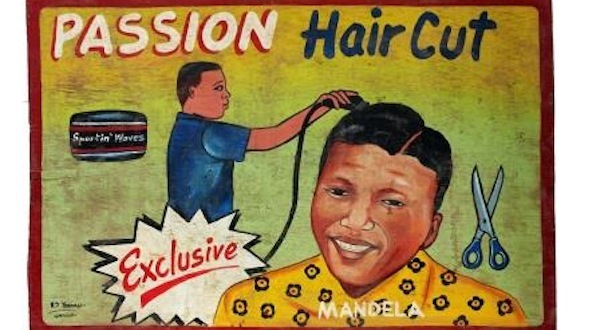 It seems fitting thatÂ the exhibition Doing Hair: Hair andÂ Art in Africa is running at the Wits Art Museum, right in the heart of BraamfonteinÂ with its abundance of hair salons. The museum hopes toÂ draw new visitors and larger audiences with the exhibit, which exploresÂ the political, socio-economic and cultural nuances of hair, particularlyÂ black peopleâ€™s hair. In an interview withÂ the CitizenÂ shortly after the exhibition openedÂ Anitra Nettleton described hair as something that “carriesÂ a whole cultural heritage”. 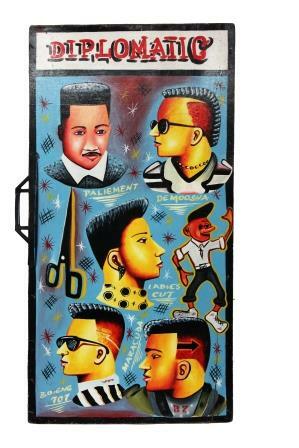 “The minute that you run a comb through your hair it becomes a cultural object,” she said. Black hair makes a political statement, even when that is not the intention. The exhibition makes an honest attempt to illustrate thisÂ but one has to ask whether it has done so in an Afrocentric way. Artist unrecorded, Diplomatic, date unknown, paint on wooden panel,122cm x 61cm. Standard Bank African Art Collection (Wits Art Museum). 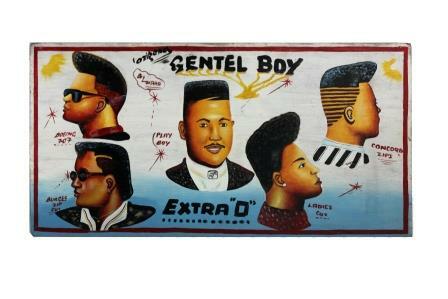 Artist unrecorded, Ghana, Gentel boy – Extra O, date unknown, paint on wooden panel, 61.2 cm x 122cm. Standard Bank African Art Collection (Wits Art Museum). 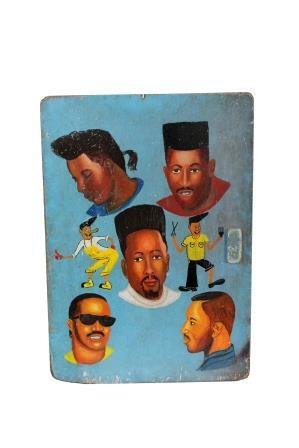 Artist unrecorded, Barber Sign, date unknown, paint on wooden panel, 60.9cm x 87.3cm. Standard Bank African Art Collection (Wits Art Museum). O.A. 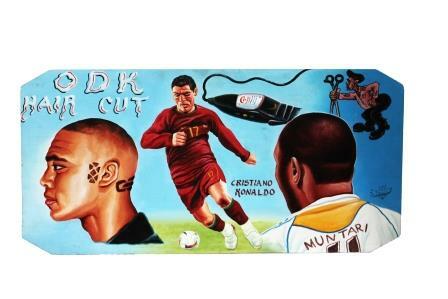 Heavy.J and Teshie, Accra, Ghana, ODK Hair Cut Cristiano Ronaldo, date unknown, paint on wooden panel, 45.5cm x 91cm.Standard Bank African Art Collection (Wits Art Museum).